If you’ve ever read the economics part of a newspaper or if you spend time on investment sites, you have most likely run into the term short selling. You can often read about how investors are buying shares in one particular company while shorting stocks in another company. But what does it actually mean and where does the term short selling come from? How to bet against the market? On this page we’ll cover all the aspects of short selling and why anyone would want to bet against the market. We will also provide examples of when one would want to short sell an underlying asset and give you tips on how to best short trade. Without further ado, let’s get started. How to bet against the market? And why does one bet against the market? Is this a common strategy for day traders and CFD traders? Betting Against The Market – What are the risks and how do I minimize them? What broker can I use to? First things first, how do you bet against the market? 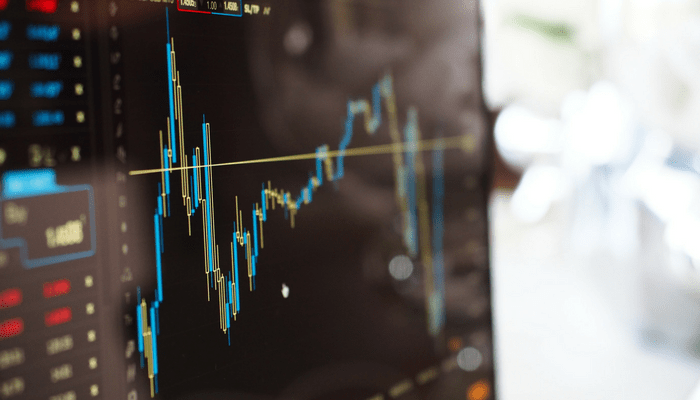 Betting against the market – What Is Short Selling? A short sale is a form of investment where the investor trades an instrument thinking that the value of the instrument will decrease. This is done by selling securities that the investor doesn’t own but instead borrows from another investor. We’ll talk more about the details in a moment, but first, we will compare a short sale to a regular investment. Traditionally, one invests in a financial instrument based on a notion that the said instrument will increase in value. The idea is to invest at a low price and sell at a higher price, thus making a profit from the price difference. It’s simple, and it doesn’t require a deeper understanding of economics to figure out how traditional investments work. However, the world of economics is a complicated space and not all instruments increase in price all the time. In fact, most instruments don’t gain a lot in value at all. If that was the case, anyone could invest anywhere and make a profit all the time. What if one wants to invest in an asset that’s declining in value? Then you have to short sell it. How Do You Short Sell an Instrument? In order to short sell an asset, you have to borrow it from another investor or a broker so that it can be purchased back for a lower price in the future. The concept is based on the fact that you can borrow and sell an asset that you don’t own, and then buy it back in the future for less and make a profit from the difference of the sell and buy price. It’s like regular trading but in reverse. We help our clients find the best trading platform to short sell, do you want to trade on your mobile? or are you looking for the best crypto platform? or the best forex brokers in UK? One of the first things you need to do is to figure out what you want to short sell. For some reason, you believe that the stock in Company A will decrease in value. Company A’s stock is currently selling for $25, so you borrow 100 stocks from one investor and sell them to another investor for the current market price. You have now sold securities that you don’t own for a total of $2,500. A few days later the price of the stock that you sold declines to $20 per stock, so you decide to buy 100 stocks for the price of $2,000 from the exchange and give those stocks back to the person you first borrowed from. Since you got $2,500 for the first sale and only spent $2,000 to buy back the new stocks, you have effectively made $500. Pretty simple, right? Well, there are several risks involved in this type of investment that you need to be aware of. How to bet against the market is a commonly used strategy among more experienced traders. Similar to all investment techniques, short selling is associated with risk. Some would even argue that short selling is riskier than regular investments. The issue is that the price of the security might increase instead of decrease and then you’ll be forced to buy back stocks for more than what you sold them for in the first place, meaning you will lose money. What makes short sales even riskier than regular trades is that you might be forced to sell before you planned. The reason for this is that you originally borrowed the securities and that the person lending them to you might demand them back at any time, especially if the price increases and they want to sell. If the lender asks to get the stocks back, you have no choice but to do so and there is really no way of protecting yourself against this. Because of this, you have to be extremely careful when short trading. As a matter of fact, short selling isn’t advisable to anyone who’s not an expert trader. However, there are alternative ways one can bet against the market and invest in declining prices. An alternative way of betting your money against the market is by using CFDs. Short selling with CFDs allows you to avoid the risk of having to sell before you’re ready while still betting against the market. CFD trading is a speculative form of investment where your task is to predict how the price of an underlying asset will move. Will the price for stocks in Company A increase or decrease? If you think the price will decrease you buy a CFD that represents that prediction and the beauty is that you don’t have to borrow anything from anyone. In CFD trading a short sale is referred to as a Sell Position, and a long sale is called a Buy Position, and just like in traditional trading, buy positions are more common than sell positions. This type of investment is technically not a short sale although it is a great way to invest in a fluctuating market when you see a price decline. Why Would You Bet Against the Market? You might be asking yourself why anyone would short sell anything instead of finding security that’s set to increase in value. There are, in fact, several reasons why one would want to bet against the market. But before we get into those reasons, we want to clarify that short selling is much less common than regular investments where you buy low and sell high. Generally speaking, there are three reasons why investors decide to short invest. 1. Speculation – This is the most common reason, and it involves investors seeking opportunity in the market. For example, why wouldn’t you short sell an asset if you were convinced that the particular asset would decrease in price? There are also good opportunities to make quick money with short sales when certain scenarios unfold. A good example is when Tesla was forced to postpone the release of a new car model for the third time in a row in early 2018. It was obvious that the news about the car being postponed wasn’t going to please shareholders and that the Tesla stock price would plummet. In fact, it only took a few hours after the news about the car was published before the stock started dropping, and two days later the Tesla stock was the most shorted stock on the Nasdaq exchange. We can assume that many investors made a decent amount from speculating against the market in this particular case. 2. Hedging – This is a term used to describe investments done as protection. For example, one can short sell a security in order to try and limit losses in the future. Traditionally, hedge trading is done with commodities, but it can also be applied to other markets. Stockbrokers often try and hedge their portfolios during stock crashes in order to make up for as much of their lost profit as possible. Note that this is not recommended unless you know what you’re doing since it can create even more losses. 3. Diversification – The final reason one might want to short trade is to diversify a portfolio with mostly traditional investment. This is mostly done for personal reasons and to create a more exciting portfolio. It’s also a good way for professional traders to test their analytic skills and change things up a bit. There are two ratios that are used to measure the short value of a security, in this case, a stock. The first one is called short interest, and it refers to the total number of stocks that have been sold as shorts compared to the total number of outstanding company stocks. The second ratio is the short interest ratio (SIR) which measures the number of short sold stocks divided by the company’s daily trading volume. These ratios are used to evaluate how risky a short trade is and if the market is about to turn. The higher the short interest and SIR gets the more likely the stock is to end up in a short squeeze. A short squeeze is a short traders worst nightmare. The squeeze happens when the number of short trades on one security forces that security to a price run. You see when the value of a shorted stock starts to turn investors will start selling their shorts which will force the price of the security to grow increasingly fast. If you don’t sell your shorts quickly enough, you risk ending up losing money. We’re often asked which instruments are best for short trades, and even though all instruments can be traded as shorts, some are better than others. Stocks are the most common instrument used for short sales for several reasons but mostly because they’re popular. Another reason is that stock prices tend to fluctuate a lot creating many opportunities to short. Commodities are also often shorted but mostly in order for an investor or company to hedge another investment. Don’t forget that CFDs, or spread-betting, can be used to easily short any asset you might be interested in whether it’s shorting a cryptocurrency, betting against the value of a currency pair, or short selling a stock. Want to learn more about CFD trading? Is It Safe to Short Trade? Well, yes and no, it depends on how you look at it and especially how and where your short trade. As you know, all forms of trading and investing are associated with the risk of losing your invested funds, and short trading is no exception. If you open a short position on an asset that ends up soaring, you will lose your investment. In addition, if you’re using leverage to increase your exposure, the losses could easily increase further. That’s why you always need to analyze your positions and trades to a point where you are as confident as possible before placing your order. There is also the risk of using a service that’s not reliable but there is an easy solution to that. Unfortunately, we live in a world where there are tons of people trying to scam others and this might be especially true in the trading world. Therefore, one of the biggest risks with short trading is the risk of being tricked. However, as long as you stick to safe and reputable brokers, you will be safe and sound. All of the recommended brokers on BullMarketz.com are regulated meaning they are safe to use. We have also put them through rigorous testing to ensure their quality and would never recommend a broker we didn’t feel comfortable using ourselves. So, is short trading safe? It all depends on the situation, and there is always a risk of losing your invested money. Although, short trading is safe as long as you only trade assets you’ve analyzed and use brokers that are regulated and recommended by us. Is it possible to sell short with CFD Trading? Yes, it is very much possible. In fact, CFDs are probably one of the most flexible and best solutions for going short. It’s not for nothing day trading is usually done with contracts for difference. CFD also offers leverage, which can help increase your margins on even small movements of a stock. Short trading is the act of betting against the market or speculating on a declining price. It’s often used to profit from falling stock prices but can also be used for hedging commodities and investing in other instruments. Short selling assets are associated with high risk and are not advisable for beginners or traders who aren’t sure of what they are getting themselves into. Compared to regular investments where you buy low and sell high, short sales have unique risks that you have to be aware of. For example, a shorted stock can be demanded back from the original seller, which leaves you in a situation where you are forced to sell even if your trade is not profitable. An alternative way of investing in falling prices is using CFDs that have been designed to be as easy to use for increasing prices as they are for decreasing prices.